Outlaw क्वीन Into The Woods. Please give credit if आप use it या post it somewhere else!. 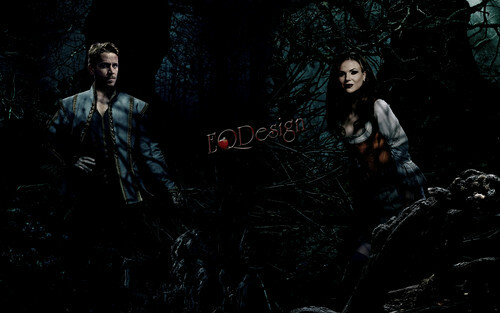 HD Wallpaper and background images in the वन्स अपॉन अ टाइम club tagged: photo once upon a time outlaw queen robin hood regina mills the evil queen evil queen lana parrilla sean maguire ouat fan art eqdesign eq design oncebg. This वन्स अपॉन अ टाइम wallpaper might contain sitka सजाना, picea sitchensis, सिटका स्प्रूस, पिका सिटचेंसिस, बीच, बीच पेड़, बीच के पेड़, अमेरिकी सफेद सन्टी, कागज सन्टी, paperbark सन्टी, डोंगी सन्टी, betula cordifolia, betula papyrifera, अमेरिकन व्हाइट बर्च, पेपर बर्च, पेपरबर्क बिर्च, डोंगी बर्च, बीटाला कॉर्डिफ़ोलिया, and बीटाला पैपरिफेरा.